REUTERS/Larry DowningObama speaks about the economy at Rhode Island College in Providence, Rhode Island. President Barack Obama predicted on Friday that Republicans would stop calling the Affordable Care Act by its colloquial name, “Obamacare,” sometime in the next decade because the American public will eventually view it as a success. “No matter how many times Republicans threaten to repeal this law, we’re going to keep it in place — because it’s working. 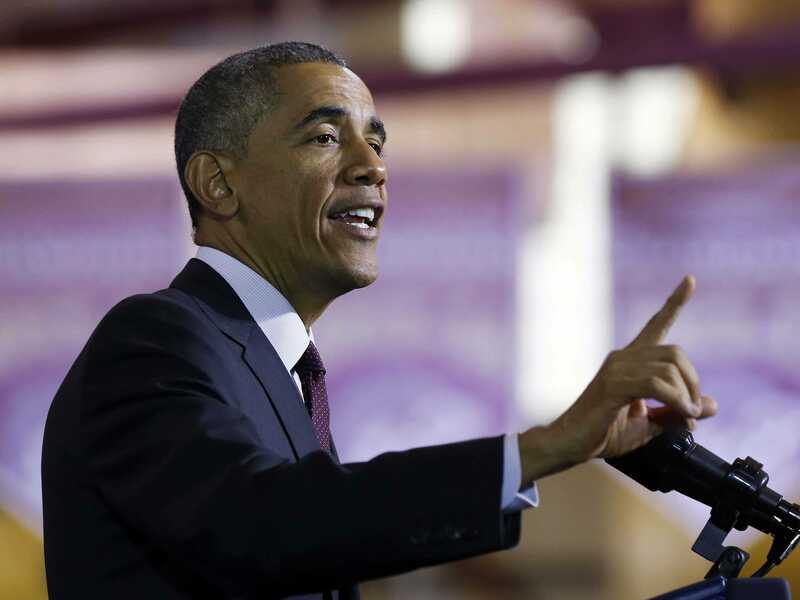 Not only is it covering more people, not only is it protecting women and people with preexisting conditions from discrimination, but it’s actually been part of the trend that’s lowering health care inflation,” Obama said during remarks Friday at Rhode Island College in Providence. After he laid down the market, an audience member shouted they would “remember” that Republicans were vehemently opposed to the law. “You’ll remember though. You’ll remind them,” Obama said. A common belief among supporters of the law is that it will be viewed in a much more positive light down the road, after Obama leaves office and benefits of the law kick in for more and more Americans. Right now, though, it remains unpopular — an average of six October polls shows the majority of the American public still opposes the law. Obama hasn’t been shy on touting the law’s successes on the campaign trail, saying earlier this month that more than 10 million people — 26% of the uninsured in the country — had gained access to health insurance in the first year of the law.